The holidays are here so spread some cheer! It’s that time of year again, when everyone is running around frantically trying to get together their holiday gifts and greetings or plan a gathering. We thought we would share some of our favorite holiday themed items to help make some of those tasks a little easier. 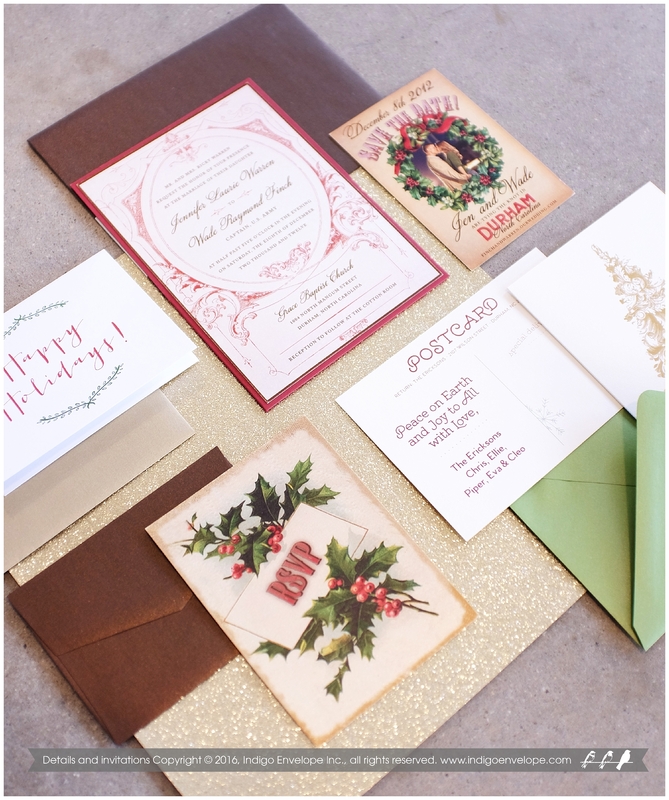 Whether you need invitations for a holiday gathering, or just want to send out a little holiday cheer, we have you covered. Also, we’ve posted some great ideas for Winter Weddings. Visit our Pinterest boards! It’s the thought that counts, make it count more. 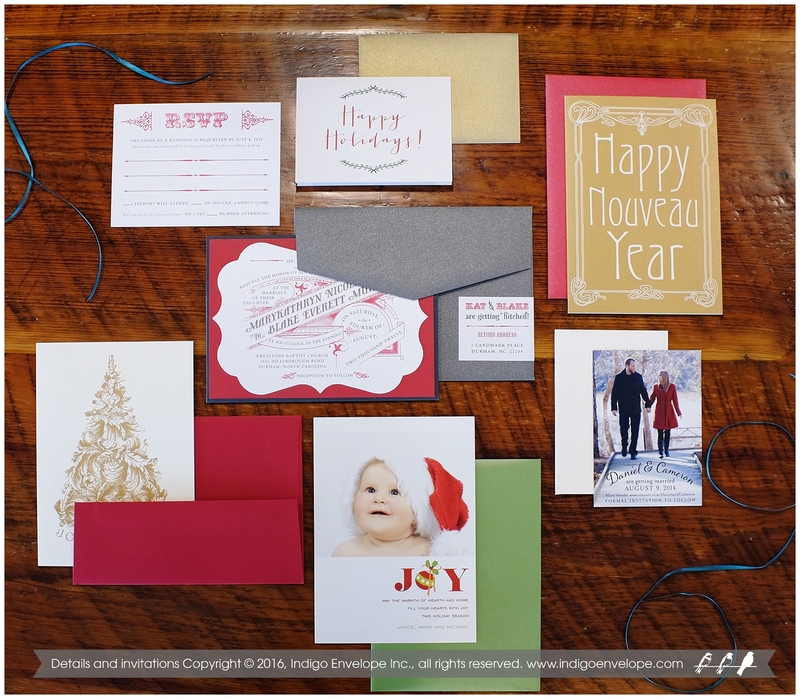 If you’re going to purchase holiday cards this year, consider ordering them through us. By doing so you will also be making a donation to help someone who is struggling right now. 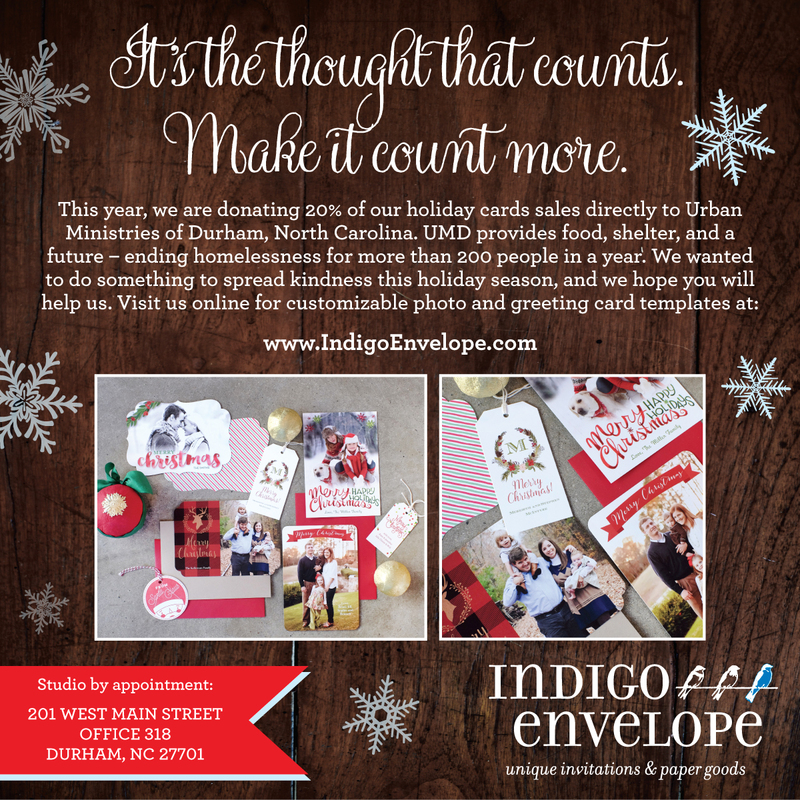 This year, Indigo Envelope will be donating 20% of our online holiday card sales to help Urban Ministries of Durham in their efforts to provide food, shelter, and a future to some of our neighbors. We hope you will join us in the efforts to end homelessness in our community. You will find our selection of holiday cards here. If you would prefer to donate directly to UMD you can do so here.